There is little more rewarding for real estate agents or their clients than an on-time closing with no unexpected bumps along the road. Report changes – Notify us without delay if there are changes in the charges or invoices to be reflected on the Closing Disclosure – and remind your clients that current and valid government-issued ID will be required at closing. Powers of Attorney – Let us know early if a Power of Attorney (POA) will be used. The title company must review POA forms for content and specific powers granted to the Attorney-in-Fact. Banks must also approve, and not all banks allow a POA. The title company must speak with the person granting a POA on the day of closing to verify it is still granted. Crisis prevention – Help us manage problems well in advance of closing by reporting at once any liens or other potential title problems you are aware of, such as estate, heirship, probate, bankruptcy, divorce, mechanic’s liens, etc. 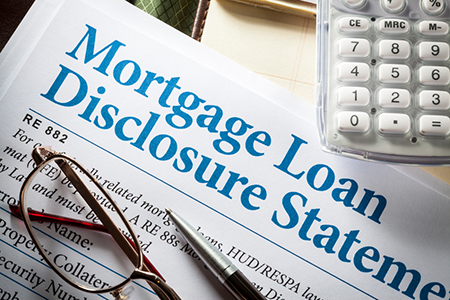 Cash for closing – Buyers should understand that a cashier’s check or wired funds payable to the title company is required for down payment, closing costs, and fees due at closing. Usually, personal checks may not exceed a certain amount. Inspections – Arrange for inspections to be completed before expiration of the option period. Details as to who (buyer or seller) is paying for the inspection, and the need for any repairs, should be provided in the contract – and all invoices should be delivered to the title company before closing, along with the name of the company preferred if the sellers are providing a home warranty. Lenders past and present – Some lenders require 48-72 hours to prepare the payoff statement. The title company needs the name and contact information for the loan officer at the new mortgage company, and the name, address, social security number and loan number of the seller’s present mortgage company. Marital status – The contract should state the marital status (married, single, divorced, widower, etc.) of both seller and buyer. If titled is vested in one party, but the party is married, the spouse’s name may need to be included in the contract – and the spouse may need to attend the closing. Contact details – Provide full legal names and complete contact information for all parties, including the Realtor, on the contract. Survey timing – If a new survey is required, notify the title company to order it. Turnaround time for a survey is usually five business days. Good faith estimate – Remind your buyer that the good faith estimate is only an estimate. Contact the title company for actual closing costs.